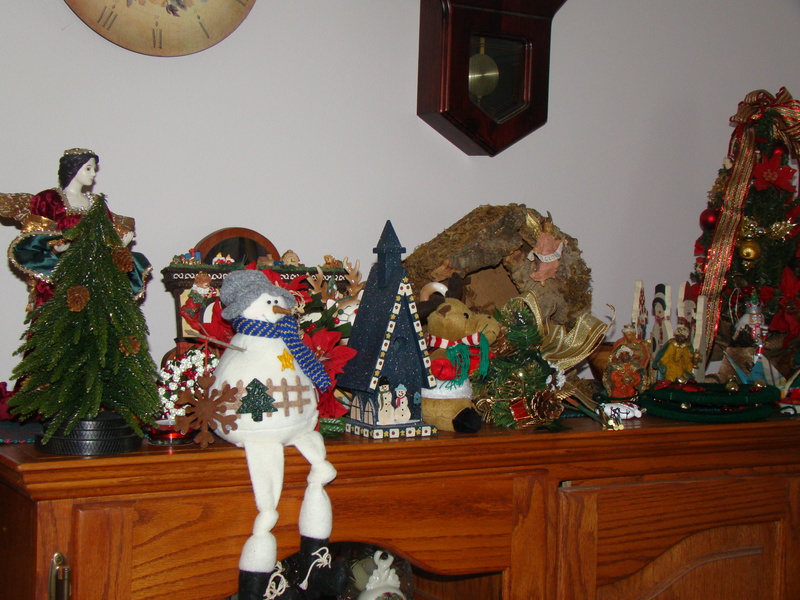 I usually keep Christmas décor up until on or about January 6th, so now I am in the process of taking it down. Getting back to ‘normal’. In our house this often means this pile up of Christmas that you see in the picture. Almost every piece tells a story – of the person who gave it to me, or the shopping trip when I found it, or a family member no longer with us. Sometimes I need an interim period before I’m ready to pack everything away until next year. The rest of the house looks a bit spare and bare now stripped back to its standard decorations. Normal. Not festive. Outside the snow blows and looks bleak. Normal January. No green except tiny spots of evergreens waiting under snow mounds. I used to briskly put away Christmas items in one fell swoop, the boys would leave for school a day or two after winter break ended seeing Christmas and come home to regular, every day house. Festive to normal in a few frenzied hours. Now I put out less of our Christmas bounty and take much longer to bring myself to store it. I think more about what normal means. All of its definitions and connotations. How normal shifts all of the time, even while we think it is safe and steady. Normal is sturdy, utilitarian – without sparkle – background expected to support effectively without attention or effort. Certainly not expected to crack, break or suddenly alter to something unfamiliar. Here in Illinois, Normal is actually a place on the map that you can visit or live if you choose. For a little while The New Normal was a show that we could all watch on TV, though I don’t think that it lasted. ‘You’re not normal’ probably still shoots around schools as an effective epithet, meant to lance an offender, real or imagined, to the quick. How do you feel about normal?